Every month, the scientists of Blue Marble Space Institute of Science meet to discuss their research, work in science communication, upcoming conferences and events, and more. 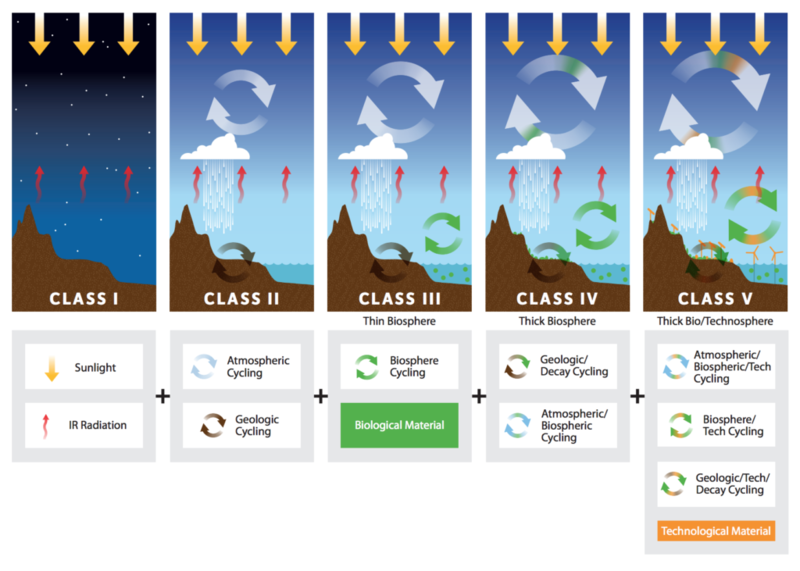 The Meeting for March 2019 included a conversation about the recent issue of the journal Futures that focused on the detectability of our future Earth. Our monthly meeting for March of 2019 included a conversation about the works recently published in a special edition of the journal Futures that included several contributions from our own BMSIS Scientists. These works examine the future of Earth and our civilization from an astrobiological perspective, particularly focusing on the extent to which human activities could be detectable across interstellar distances. BMSIS Scientist Jacob Haqq-Misra edited this special issue and provided the introductory chapter. 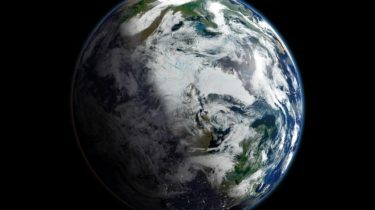 The issue also includes contributions from BMSIS Scientists Sanjoy Som, Brendan Mullan, and Julia DeMarines, as well as from Gina Riggio, Editorial Manager for Blue Marble Space and Editor-in-Chief of Sciworthy. We started out by discussing the longevity of civilizations, highlighting the example of the people of Easter Island, who deforested their island (also known as Rapa Nui) while building and moving the famed Moai (the Easter Island Head statues). Jacob Haqq-Misra pointed out that the first known settlers arrived on Rapa Nui somewhere around the year 600 CE and may have been just 20-30 individuals. However, by the time of the collapse of their society due to deforestation, somewhere around 1600 CE, the population had grown to some 6,000. The case of rapid growth of the population along with deforestation of their island leading to destabilization of their society is a primary example that is used when considering the longevity of civilizations and the implications of overuse of resources. 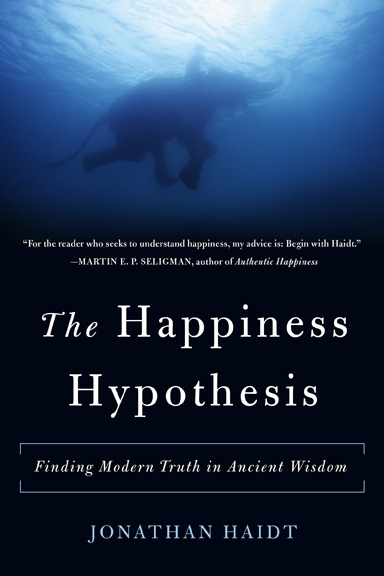 This conversation led Dr. Daniel Angerhausen, BMSIS Scientist and Co-Founder of The Explainables, to recommend Jared Diamond’s book “Collapse: How Societies Choose to Fail or Succeed”. Diamond is well-known for his previous work “Guns, Germs, and Steel”. 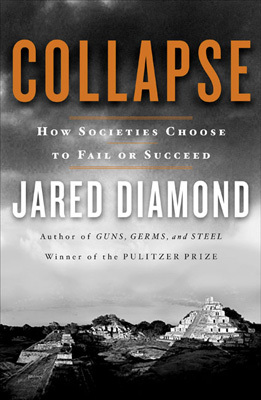 In Collapse, Diamond considers the factors leading to the demise of historical civilizations as well as threats that modern societies face (including much larger-scale threats to human civilization in general). 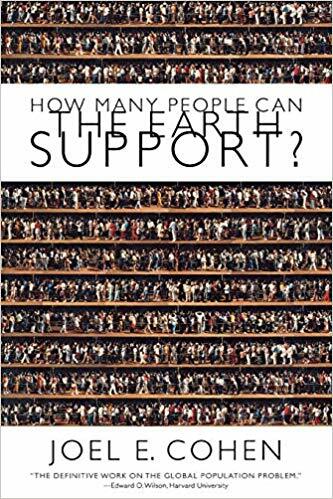 As Diamond himself concludes in his book: “…One of the main lessons to be learned from the collapses of the Maya, Anasazi, Easter Islanders, and those other past societies […] is that a society’s steep decline may begin only a decade or two after the society reaches its peak numbers, wealth, and power. […] The reason is simple: maximum population, wealth, resource consumption, and waste production mean maximum environmental impact, approaching the limit where impact outstrips resources.” However, Diamond also comes to the recommendations that societies may choose to succeed by focusing on long-term planning and having a willingness to reconsider their core values. Considering the potential for our Earth to hold us as we expand in number and in our use of resources, including considerations of sustainable farming/eating practices, invariably led our scientists to have a little mini-chat about some of the current alternatives to meat, such as Beyond Meats, the Impossible Burger, and Field Roast. There have been many attempts over the years to produce meat-like veggie-based substitutes to common foods like cheeseburgers, hot dogs, and bacon, but some of these new advances include attempts to make meat substitutes that also have the taste, texture, and appearance of meat. These advances along with the possibilities for lab-grown meats may be one needed step as our population continues to expand (while our diets continue to be highly meat-based in many of the more technologically developed nations). We wrapped up the overview of the papers in Detectability of Future Earth with Dr. Sanjoy Som leading us in a consideration of how we humans identify ourselves and the possible need for a common identity in order to preserve our civilization(s) through time. This was certainly a rousing period of the conversation, with Dr. Som discussing how we may be better suited to civilizational longevity if we preserve our local identities while developing a common identity as citizens of our world (and led Julia DeMarines to jest that she looked forward to Dr. Som’s course on “Becoming a Citizen of Planet Earth”). Dr. Graham Lau brought up the scifi television show The Expanse (based on novels by James S.A. Corey (actually a pen name for two individuals)), where citizens of Earth, Mars, and the asteroid belt and gas giant moons (who refer to themselves as “belters”) face off against one another (while also slowly learning the importance of sharing a common identity as humans). Gina Riggio also brought up current political issues in the U.S., where a modern movement of “anti-globalism” has been spurned by the perception that certain forces in politics are driving the world toward a forced identity. Certainly, developing a common identity as citizens of the Earth may be a rather difficult task, but one that could allow our species to become better participants in our own biosphere. One final recommendation from Dr. Som was a survey known as the Characteristics of Self-Actualization Scale, developed by psychologist Dr. Scott Barry Kaufman.